On average each year, 400,000 people drown, 24,000 fishermen die and more than 700 people lose their lives in airline crashes. In the US alone, nearly 5,000 deaths annually are related to maritime or boating accidents. These industry statistics, coupled with 2014’s high-profile incidents, illustrate the need for a more efficient and effective SAR solution—one that can locate distress beacon signals quicker, mobilize rescue authorities sooner and ultimately save more lives. Search and rescue is a term often used to describe the “search” for people in distress or imminent danger via associated “rescue” by emergency response agencies. There are several categories of SAR, depending primarily on geography or terrain (e.g., mountain rescue, air-sea rescue over water), but the general concept is the same—emergency personnel are dispatched to locate, assist and rescue people in crisis situations. A critical component in all SAR efforts is the international satellite system for search and rescue, COSPAS-SARSAT, which has helped teams rescue nearly 37,000 people since 1982. Used by military and civilian SAR organizations around the world, the system operates on a specialized frequency band (406MHz) to communicate with various distress beacons, transmitters and other location devices that are activated during an emergency. How does this SAR ecosystem work? 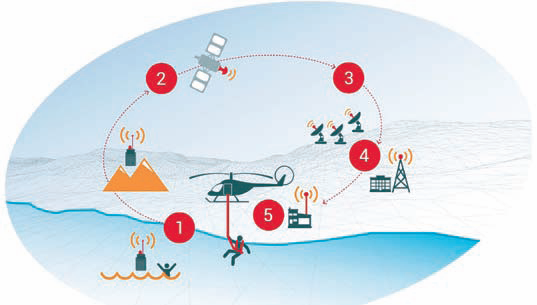 As shown in Figure 1 above, after an emergency or incident, a distress beacon is activated and the signal from the beacon is sent via orbiting satellites to satellite ground stations (or Local User Terminals—LUTs) then on to Mission Control Centers (MCCs) and, eventually, to Rescue Coordination Centers (RCCs) who manage the actual rescue on land or on sea. 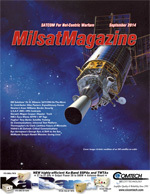 COSPAS-SARSAT has established itself as the foremost global search and rescue system due to the wide adoption internationally (over 40 countries) of the technology, expansive satellite coverage (no mobile phone dead spots) as well as the system’s proven alert detection and information distribution process (nearly six people saved per day, on average). Despite these successes, there is always room for improvement, as with any technology. What can be done to reduce distress beacon detection times? What if emergency transmitters on commercial aircraft could be automatically activated based on rapid changes in altitude or pitch? What new hardware and software are on the horizon to further streamline the rescue process? These questions will be answered in the following categories: Next-Generation Emergency Distress Beacons, Next-Generation Satellite-Based SAR (MEOSAR) and Next-Generation SAR Applications. The distress beacon triggers the SAR process. Today’s beacons vary in size and shape depending, on use case, but their purpose is universal—to help remove the search element from “search and rescue.” They can pinpoint areas up to a 5km range 95 percent of the time within 10 minutes of their activation. Figure 1. The COSPAS-SARSAT Ecosystem. Tomorrow’s distress beacons are being refined to significantly reduce time for a satellite to locate a beacon, and the will ultimately have an accuracy of within 30 meters 95 percent of the time within five minutes. 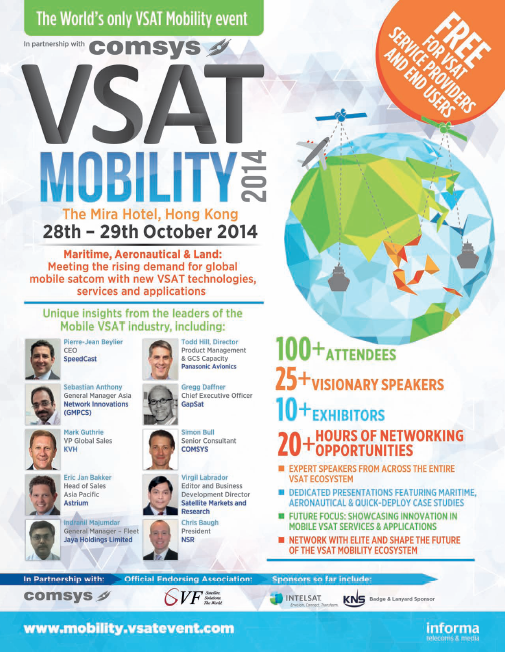 For aviation, future technology advancements are a quantum leap forward. Next-generation Emergency Locator Transmitters (ELTs) installed in aircraft will activate automatically when emergency indicators triggered by an aircraft’s angle of descent, speed and other variables, are detected. Current ELTs are designed to activate upon impact with the ground and, as a result, are often damaged beyond use in the crash. 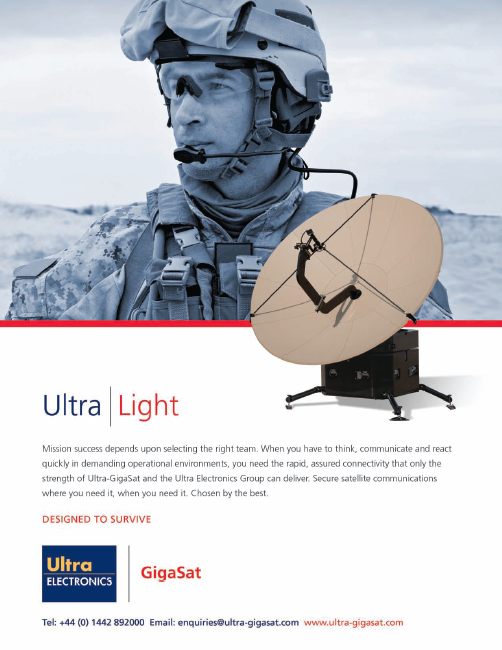 A unique feature built into next-generation beacons will be the ability to send a “return link signal” via the SAR satellite infrastructure. With this functionality, confirmation messages can be sent to the beacon acknowledging that the emergency signal was received, thereby providing an increased comfort level for distressed individuals. Beacons could be activated remotely in situations where human intervention is not available, or when vessels are stolen or lost. Or, beacons can be turned off remotely in instances of false alerts due to accidental beacon activation. This return link capability/functionality will require both next-generation emergency beacons and the next-generation satellite infrastructure, which are addressed in the next section. MEOSAR (Medium Earth Orbit Search and Rescue), the next-generation COSPAS-SARSAT satellite system, is expected to bring a number of improvements to the SAR process. While the SAR process flow will remain relatively the same, the performance of that flow will be greatly improved. Scheduled for full deployment by 2018, MEOSAR will consist of 72 MEOSAR satellites, versus the 12 satellites in place today for COSPAS-SARSAT. This will increase global satellite coverage and provide near-instantaneous detection, identification and location of next-generation and existing 406MHz distress beacons. Figure 2 identifies several of the MEOSAR advantages versus existing COSPAS-SARSAT satellite systems today. MEOSAR requires that beacon distress information be relayed through three separate satellites to triangulate and accurately calculate a beacon’s location (latitude, longitude, altitude). With the planned 72 MEOSAR satellites in orbit, capturing those three signals will be nearly instantaneous, compared to the current LEOSAR (Low Earth Orbit Search and Rescue) systems that can require from 46 minutes to 100 minutes due to the inherent gaps in satellite coverage. Most MEOSAR ground station systems (also known as MEOSAR Local User Terminals or MEOLUTs) consist of four to six antennas whose purpose is to capture at least three of these signal bursts to determine a beacon’s location. Furthermore, with a multiple antenna system, if one antenna is being repaired, there will still be a sufficient number of remaining operational antennas to process incoming signals, increasing overall system availability. A unique feature known as “MEOLUT networking” will also increase global, real-time coverage. For example, if a beacon is activated in the middle of the Atlantic Ocean, but a US-based MEOLUT only has two antennas covering that area, how is the beacon location determined if the three triangulation data points are not identified? In this case, the data collected from the two US MEOLUTs can be combined with data collected from a European MEOLUT also covering the area via a networking process to provide that third data point that is needed to calculate an accurate position. “Convergence” is a key word when it comes to next-generation SAR applications. The convergence of SAR products, technologies and processes into related applications such as fleet management, vessel traffic management and vehicle monitoring is already evident across a number of industries and is becoming a catalyst for joint integration and development partnerships. In the commercial maritime industry, for example, the convergence of search and rescue into current Maritime Domain Awareness (MDA) applications is creating a new generation of e-Maritime solutions. 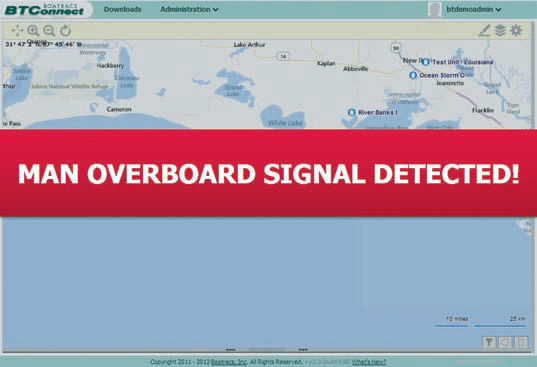 Fleet management software that can identify emergencies based on 406MHz distress beacon technologies and alternative SAR options, such as Automatic Identification System (AIS), will allow workboat operators, commercial fishing fleets and inland waterway transportation companies to streamline operations as well as save lives. Maritime operational courses and simulation systems are including a variety of COSPAS-SARSAT search and rescue procedures—emergency preparedness, risk detection, crisis response and emergency operations—as part of vessel operator’s certification training, resulting in higher levels of navigational and safety proficiency. In the wake of Malaysia Airlines Flight 370’s disappearance earlier this year, the aviation industry is also expected to increase its focus on SAR-related applications. Later this year, the United Nation’s International Civil Aviation Organization (ICAO) is expected to unveil a plan to create a global flight tracking system that will, in part, decrease search and rescue response times. Several air traffic management and air traffic control applications are also using variations of COSPAS-SARSAT software to track, identify and manage emergency situations. In the world of search and rescue, there is one primary mission: saving lives. Today’s SAR systems are highly effective, as evidenced by the number of people saved by COSPAS-SARSAT. 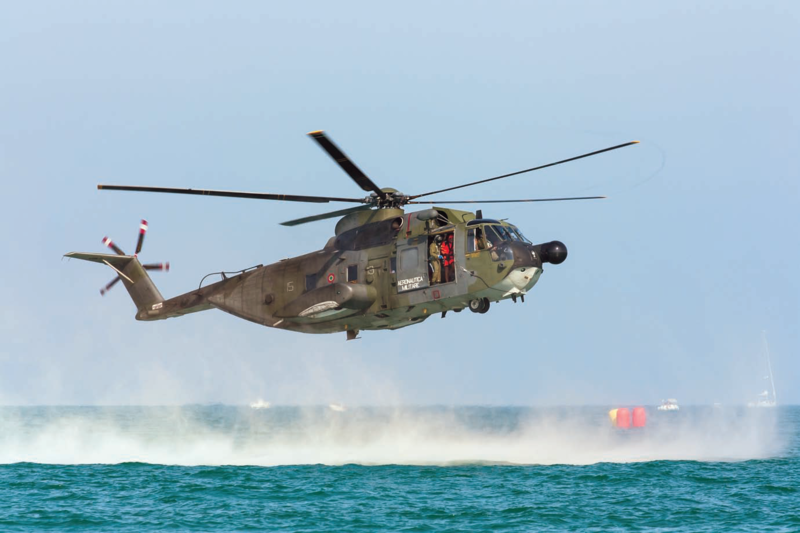 Technology improvement across the entire SAR ecosystem over the next few years, especially to the network of satellites orbiting Earth, will dramatically improve the safety of maritime personnel, aviators and recreationists around the globe. As the awareness and understanding of search and rescue increases, a number of breakthrough applications, innovations and procedures will emerge that will save even more time, more costs and, most importantly, more lives. Randel Maestre is Vice President, Global Strategic Marketing, of McMurdo Group. 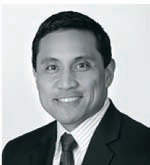 He previously was Vice President, Worldwide Industry, Field and Channel Marketing at Polycom, which included a two-year assignment in Singapore. Randel has held management positions in marketing, product management, sales and business development for Fortune 500 companies (AT&T/Lucent) and startups. He has lived in Asia, Europe (Netherlands) and Latin America (Mexico). Randel has a BS in Aerospace Engineering from the University of Southern California and an MBA in Marketing / Finance from Columbia University.